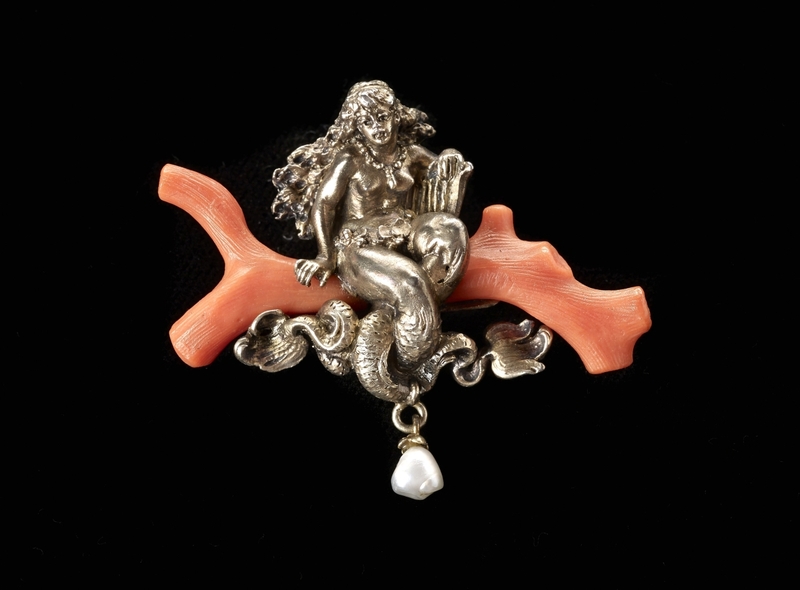 Karl Rothmüller, Mermaid on Coral brooch, circa 1900, gilded silver, coral, pearl. Collection of Richard H. Driehaus. John A. Faier photo, 2014, ©The Richard H. Driehaus Museum. 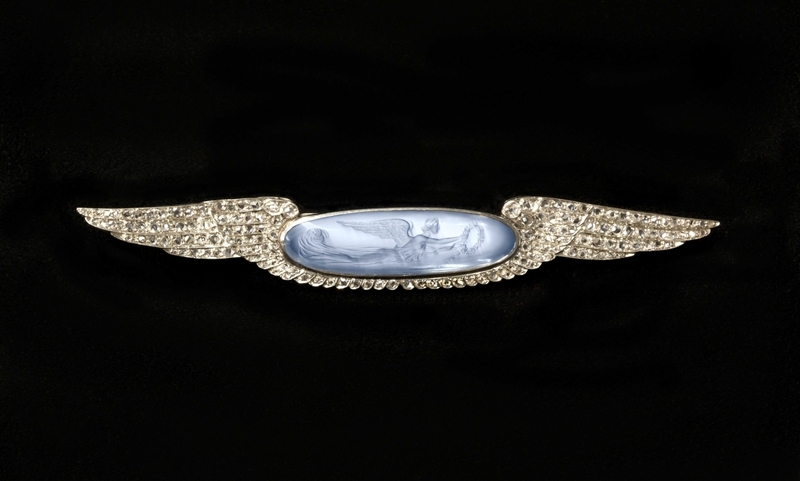 PALM BEACH, FLA. – The Flagler Museum’s “Season of Style” continues with an exhibition that shines a light on the inspiring role women played in the creation and design of art jewelry of the early Twentieth Century. 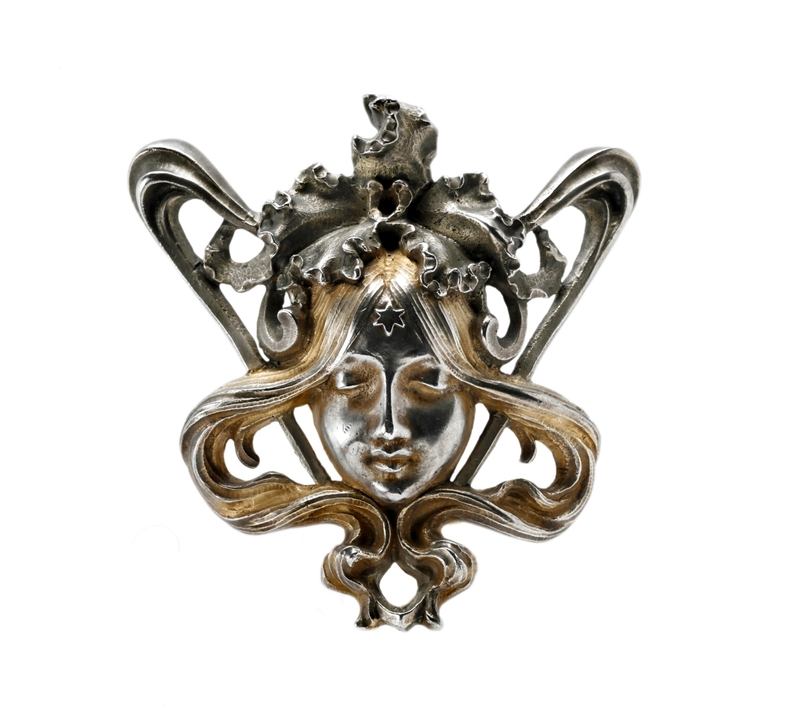 “Maker & Muse: Women and Early Twentieth Century Art Jewelry,” a stunning exhibition of more than 200 unique pieces of handcrafted art jewelry, celebrates the role of women, both as inspiration and as designers/makers. Maker & Muse will be on view at the Flagler Museum through May 26. 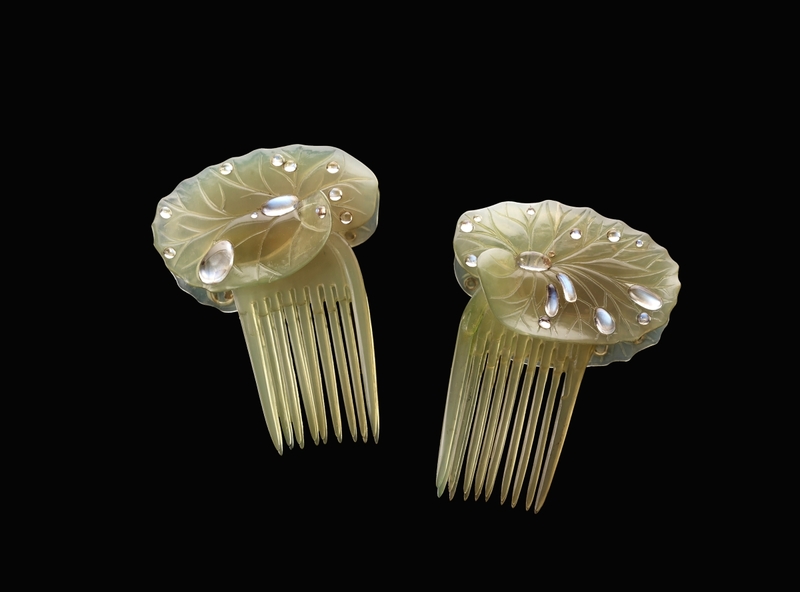 Featuring works by renowned artists such as Louis Comfort Tiffany, Charlotte Newman and René Lalique, “Maker & Muse: Women and Early Twentieth Century Art Jewelry” celebrates the impact of women on art jewelry across five regions: Great Britain, France, Austro-Germany, New York and Chicago. These regions saw the emergence of bold, experimental artists who pushed the boundaries of traditional jewelry design. 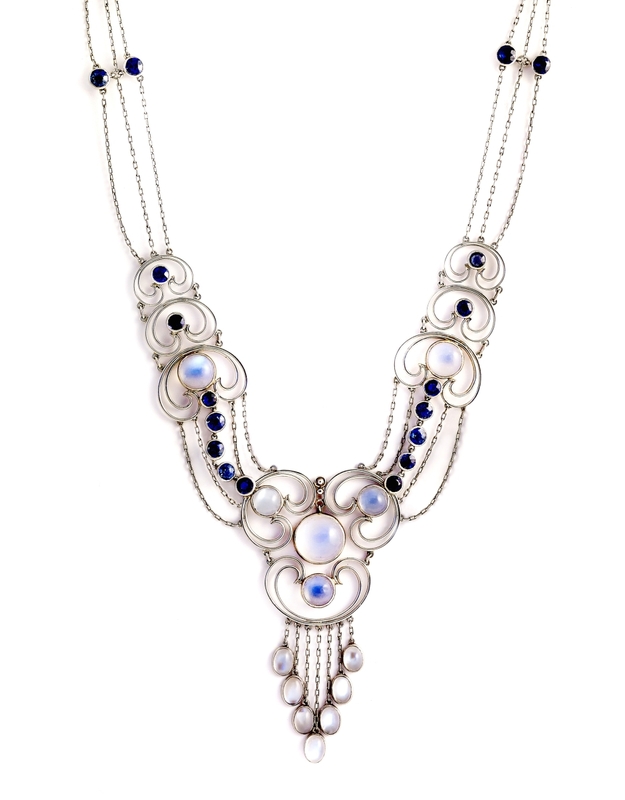 In the early decades of the Twentieth Century, jewelry makers in Great Britain, on the Continent and in the United States created alternative styles to mainstream jewelry. Art jewelry developed as a reaction to the conformity of mass-produced goods throughout the Industrial Revolution. 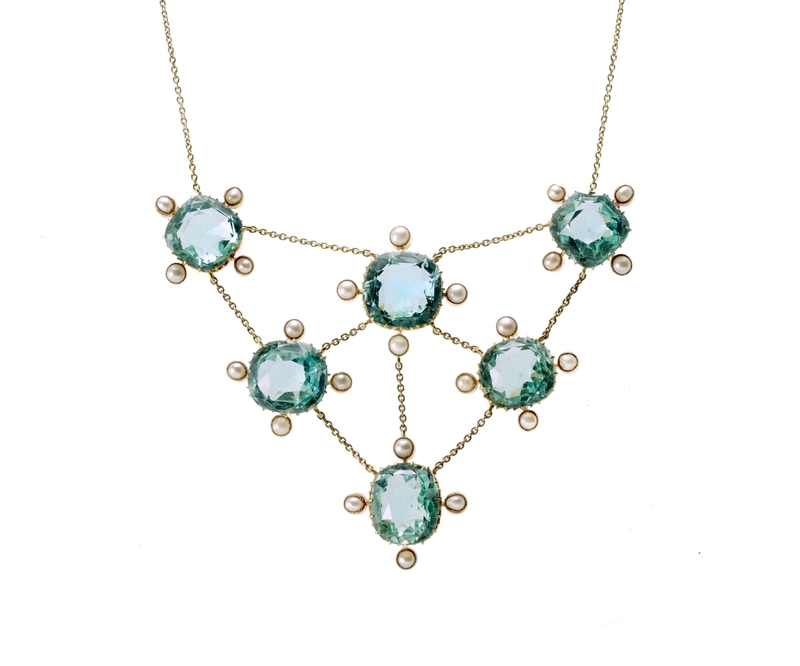 Each of the designers represented in “Maker & Muse,” though inspired by their own individual cultures and surroundings, shared similar aesthetic ideals: they all sought to produce innovative jewelry with semiprecious stones, enamelwork and dramatic forms. 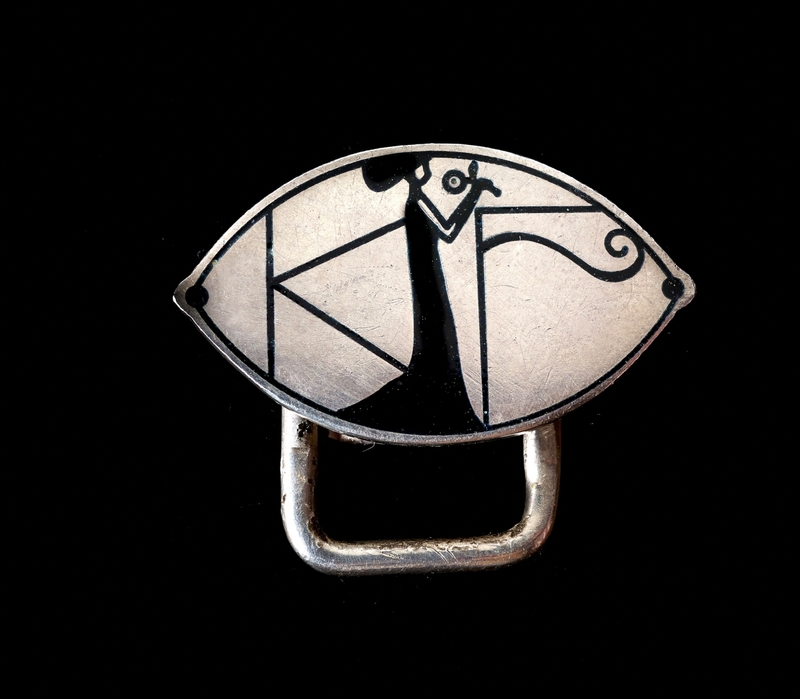 Women influenced art jewelry both as muses to male designers, and for the first time, as designers in their own right. The works in this exhibition offer a mesmerizing glimpse into the social, political and economic realms in which they were created. 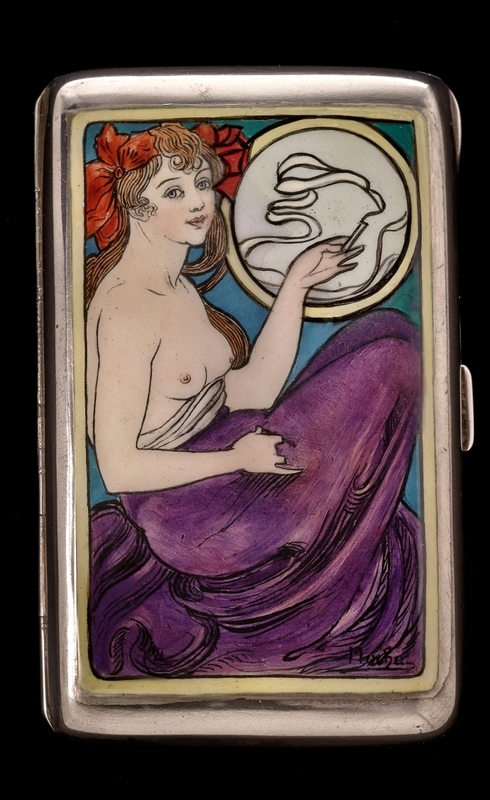 Drawn from the collection of Richard H. Driehaus, as well as from other prominent collections, “Maker & Muse” explores the fascinating symbiosis between art jewelry, design and women in the early Twentieth Century. A fully illustrated catalogue, Maker & Muse: Women and Early Twentieth Century Art Jewelry, edited by Elyse Zorn Karlin with essays by Sharon S. Darling, Jeannine Falino, Elyse Zorn Karlin, Yvonne J. Markowitz and Emily Banis Stoehrer and Janis Staggs, with photographs by John Faier, is available for purchase in the museum store. The Flagler Museum is at 1 Whitehall Way. For additional information, 561-655-2833 or www.flaglermuseum.us. 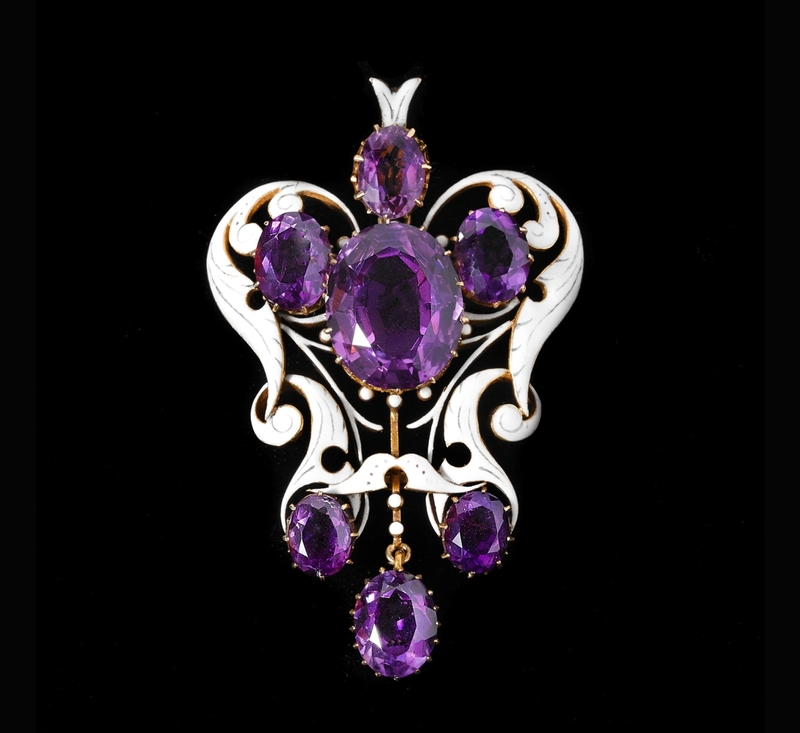 Charlotte Newman, pendant, 1884–90, gold, amethyst, enamel. Collection of Newark Museum. John A. Faier photo, 2014, © The Richard H. Driehaus Museum.